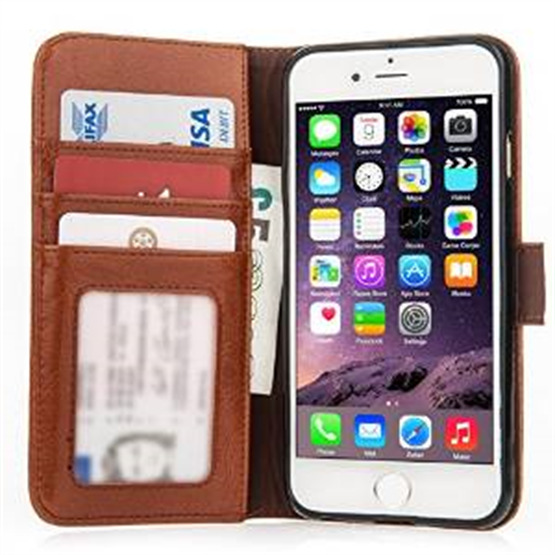 Looking for a great wallet case to help augment and protect your iPhone 6s? 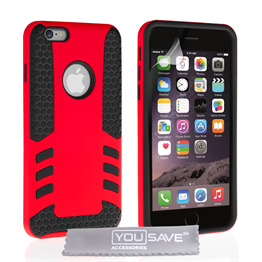 With this fantastic cover from Caseflex, you can keep your handset safe in style! Manufactured from the highest quality genuine leather, this wallet cover is designed to be smooth and supple, making it a pleasure to hold and use. It has a great texture in the hand, ensuring an unparalleled grip, and enabling you to keep your phone where it belongs: in your palm, and away from the ground! It also looks fantastic, with a timeless, executive design that's sure to attract positive attention. With a hand-stitched border and handy magnetic closing clasp, the smooth and classy style of the real leather wallet is guaranteed to make your iPhone 6s look better than ever before! 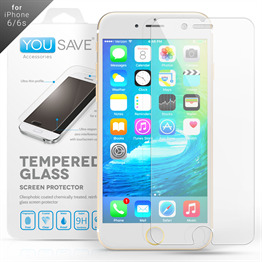 It even comes equipped with some great auxiliary features, to really help you get the most out of your iPhone 6s. Three internal slots sit opposite your handset once it's in the wallet. These storage pouches enable you to keep your bank/credit card, loose change and other miscellaneous items safely ensconced, keeping all your valuables centralised in one place! 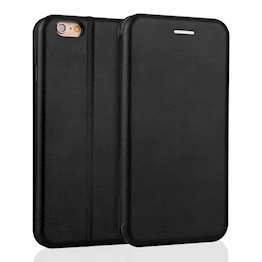 The wallet case even comes equipped with a handy stand function, so you can watch videos in landscape mode with hands-free ease! Simply flip the internal holster outwards while the phone is in the case, and it transforms into a stand, turning your phone into a multimedia viewing platform! 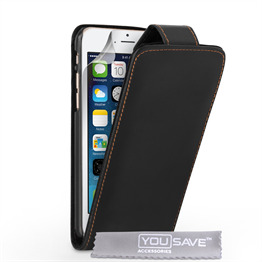 Providing many excellent features, as well as sleek and stylish executive flair, this real leather wallet stand case is sure to satisfy. 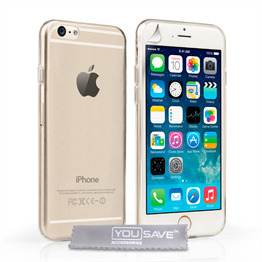 If you own an iPhone 6 of your own, there's no finer way of getting the most out of your handset than this fantastic case cover!